Ginger makes a delicious, fragrant beverage that warms you all over. Its health benefits have been treasured for centuries. They include soothing aches and pains, helping to fight off colds and chills, improving heart health, stopping nausea, weight loss, and improved digestion. Perhaps you’ve thought of trying this aromatic drink and would like to know why it’s so renowned for health and wellness. Or perhaps you’ve been a fan of this soothing beverage for years and simply want to know more about its benefits. Whichever group you fall into, you’ll be glad to know how ginger tea benefits your health. It can relieve aches and pains. Ginger has a warming effect on the body, increasing blood flow. This can help remove toxins and aid healing. It has traditionally been used to help arthritis and rheumatism. It may help relieve morning sickness during pregnancy. 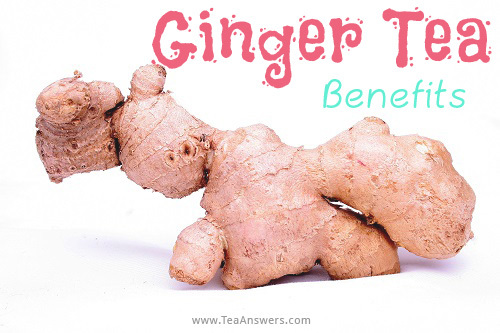 Ginger’s soothing effect on the stomach has made it a traditional remedy for morning sickness. But if you are pregnant, please discuss drinking ginger tea with your healthcare provider before consuming it. It may benefit your heart. Research has shown that ginger may help lower cholesterol, normalize blood pressure, and reduce the risk of heart attacks and strokes. It may help with weight loss. It is high in antioxidants which can help boost your metabolism and encourage your body to burn fat. It helps fight off chills. Ginger has natural warming properties which can provide relief on damp, cold days. It can be beneficial during cold and flu season. Ginger is an expectorant which may help loosen chest and sinus congestion. It may also help you to recover from colds sooner. It supports good digestion and can help soothe upset stomachs, indigestion, and gas. It is recommended that ginger be consumed in moderation. If you have peptic ulcers, it is best to avoid ginger. Children under the age of 2 should not be given ginger tea. Always talk to your healthcare provider about whether ginger tea is safe for you, and in what doses.